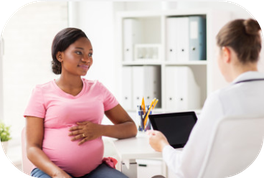 There are five types of health care professionals who are trained to take care of pregnant women: obstetrician-gynecologists, maternal-fetal medicine specialists, family practice physicians, certified nurse-midwives and direct-entry midwives. These professionals are trained to provide prenatal care and to perform deliveries. However, the level of training for each is quite different. According to the March of Dimes, 80 percent of pregnant women in the United States are attended to by physicians in obstetrics and gynecology. These are physicians who have completed four years of undergraduate training, four years of medical education, and four years of residency training specifically in the management of obstetrics (both low and high risk), and gynecology (both benign and malignant). We are trained extensively to recognize and handle labor room emergencies and to diagnose and treat high-risk problems. A family practice physician is another option for your prenatal care and delivery. These physicians have completed four years of undergraduate education and four years of medical education in addition to three years of residency training. They are capable of taking care of not only you but also your baby after it is born. Their training permits them to manage low-risk obstetrical patients and some gynecology cases. Some family practice residency training programs provide additional training in performing cesarean sections. A midwife is a person, usually a woman, who is trained to assist women with childbirth. 2 Certified nurse-midwives (CNMs) are registered nurses who have graduated from a nurse-midwifery program accredited by the American College of Nurse-Midwives. They have passed a national certification exam and can practice anywhere in the U. S. The length of nurse-midwifery programs is usually twenty-four months. 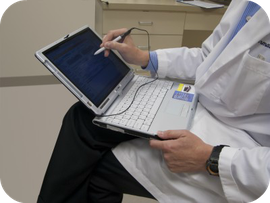 Seventy percent of CNMs have master’s degrees, and 4% have doctoral degrees. CNMs usually provide prenatal care, attend to women during labor and births in hospitals or birthing centers, and give postpartum care, including family planning services. Their focus is on the management of low-risk women and newborns, with minimal intervention in natural processes. Because they may be faced with cases that exceed their limits of training, most states require CNMs to have a formal relationship with a physician who is usually but not necessarily an obstetrician/gynecologist. If you decide to use a CNM, be sure to ask about his or her physician backup and emergency contingency plan. For example, at which stage will the CNM contact the physician if an emergency occurs? Because CNMs are not trained to perform cesarean sections, the covering physician needs to be advised of a potential problem well in advance, not at the eleventh hour. Well in advance of your due date, you should meet the physician who will be covering for your midwife to establish a formal relationship. If your midwife is part of a physician group practice, then this is not a major concern because you will usually meet the practicing physicians during one of your prenatal visits. However, if your midwife is in private practice, then meeting the physician in advance is almost mandatory. If you have a private-practice midwife, ask whether the covering physician will have access to your prenatal chart before your hospital admission. The best way to find the right provider is to get word-of-mouth referrals from either friends, family members or your primary care physician. If you are older than 35 and this is your first pregnancy, you want to make certain that your healthcare provider is well-versed in the new noninvasive prenatal genetic tests that can screen for birth defects as early as 10 weeks. Another strategy is to ask a labor and delivery nurse from your local hospital because they have personally witnessed every obstetrical emergency imaginable. Their opinions are often invaluable. You can also ask for referrals from female physicians who have children because they have an insider view, both as physicians and mothers, regarding the strengths and weaknesses of providers’ professional skill.